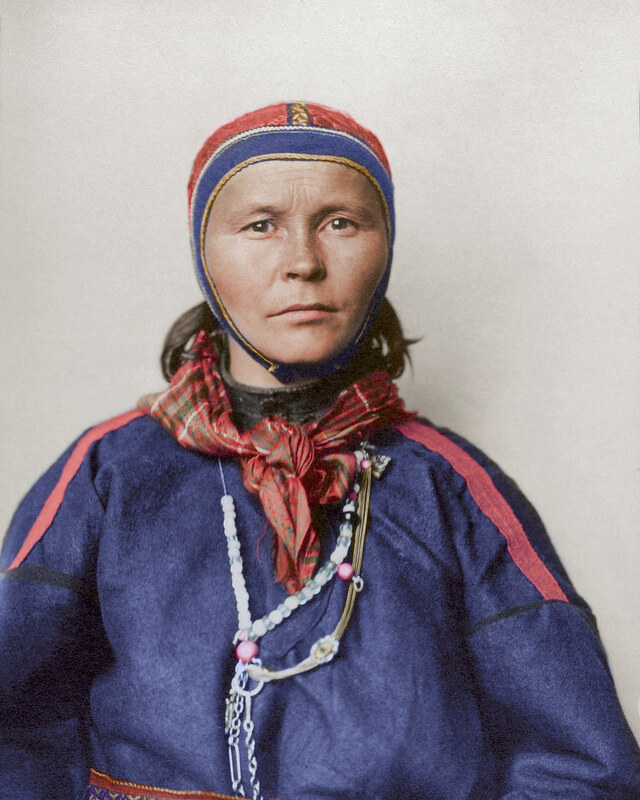 Gákti is the traditional costume of the Sámi people inhabiting the Arctic regions spanning from northern Norway to the Kola peninsula in Russia. Traditionally made from reindeer leather and wool, velvet and silks are also used, with the (typically blue) pullover being supplemented by contrasting coloured banding of plaits, brooches and jewellery. The decorations are region-specific and the gákti is used in ceremonial contexts such as weddings, or signified whether or not one was single or married, but also served a working dress when herding reindeer.